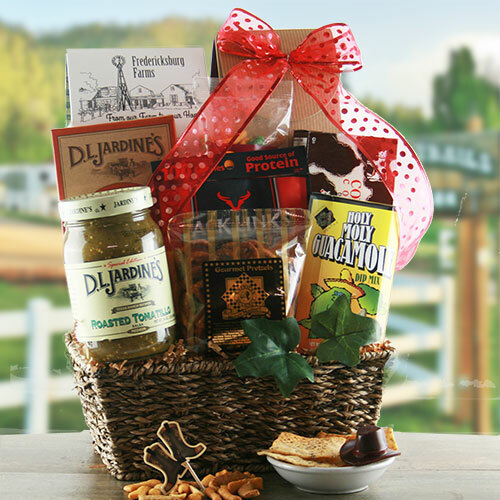 Saddle up cause this cause this Texas themed gift basket is one hot tamale! A wonderful southern medley of zesty Texas treats. Ya’ll come back now!